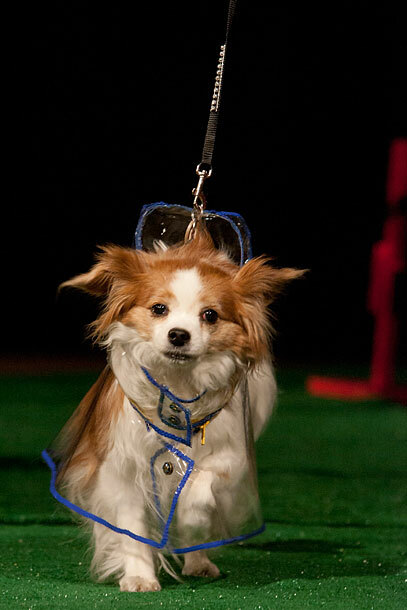 Students enrolled in the professional development certified program in pet product design at New York’s Fashion Institute of Technology showed their wares last week on canine models. The “barkanistas” strutted their stuff at the school, showing a wide array of styles for dogs of all kinds. Jiyoung Moon’s clear plastic rain poncho, modeled by Lily, a papillon. 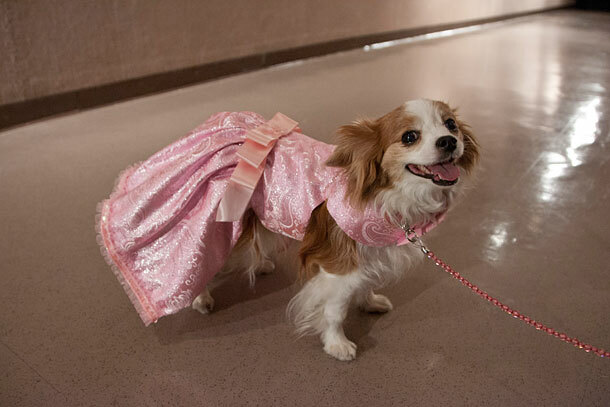 Lily also modeled a pink prom dress, by designer Cheryl Jackson. “Best in Show” winner, Dawn Diesler showed a collection of handbags and leashes, in luxe skins. Here, Chappy Fox, a toy schnauzer, models a python and neon leather set, with studs. This entry was posted on April 27, 2012 at 6:50 am and is filed under fashion. You can follow any responses to this entry through the RSS 2.0 feed. You can leave a response, or trackback from your own site.